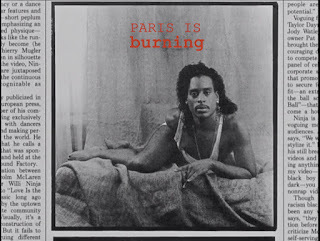 "Paris is Burning" is one hell of a documentary. It's enlightening, detailed, entertaining and utterly engrossing. In fact, it's so engrossing that I failed miserably at this week's Hit me with your best shot exercise. I was completely captivated by this film and it wasn't until the end that I realized that I hadn't screencapped anything. So instead of a best shot, I'll write about my favourite character. "It's a good high...It's a high that won't hurt you. If everybody went to balls and did less drugs, it'd be a fun world, wouldn't it?" 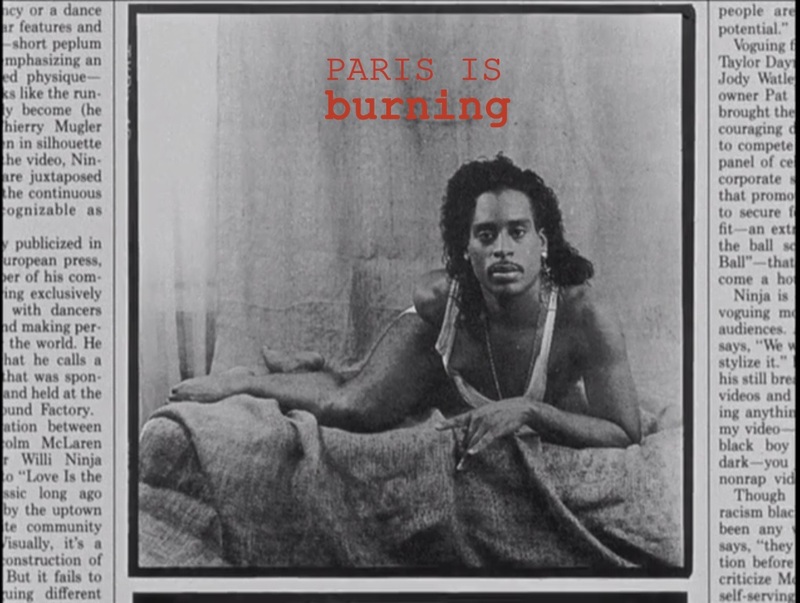 "Paris is Burning" isn't a film that I would have likely sought out without this series, mostly due to having only a faint interest in its particular sub-culture. Yet despite the usual negative connotations of the word (i.e. subculture), Corey emphasizes the positive aspects of the ball culture. The participants come from rough socioeconomic backgrounds and these balls offer a positive means of self-expression and a sanctuary within an intolerant society. Visually, these intimate images of Corey also speak to this notion of self-expression. As far as I can remember, he is the only person we see going through the process of getting dolled up. It's such an important facet of the documentary too, considering the showmanship involved. As the film explains, there's a ball category called "realness", where contestants compete to see who can be most convincing as a straight person. For the majority of society, these portrayals are what would be accepted as "normal". But for these men and trans-women, the glamorous ball personas are closer to who they really are. 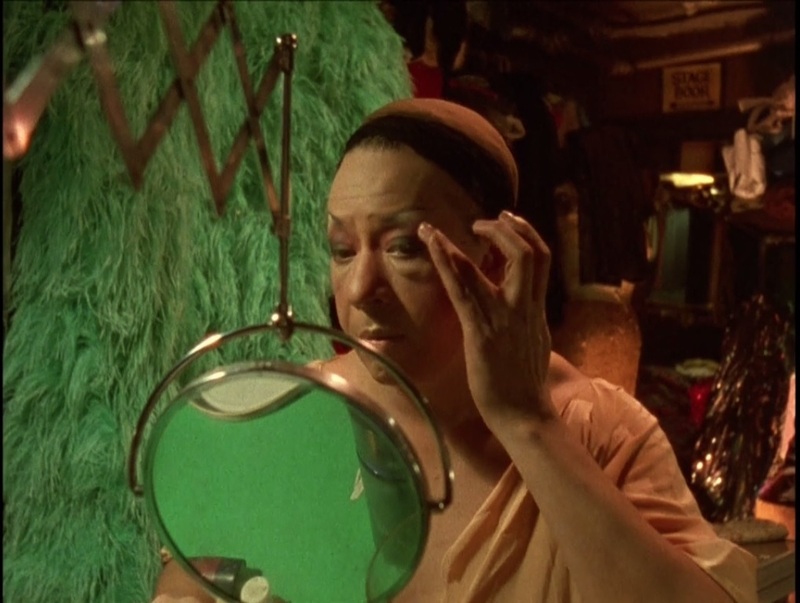 Women often use the term "putting my face on", in reference to applying makeup. For Corey and others however, that term goes beyond merely cosmetic to signify something more literal indeed. YES. The Corey interview at the makeup mirror is absolutely the heart of the film to me. Also, every word out of that mouth is GOLD. I think what you say in that last paragraph is kinda-sorta-maybe what I was trying to say in my addendum about other recent identity-themed makeup scenes. LOL, I watched this and then went back and streamed it through my phone so I could screencap it...luckily, my pick was in the beginning of the film. Also, your last paragraph is just pitch perfect! And after the film was done I also realized I hadn't picked a shot! it really is engrossing.